Enter to win by Frugal Luxuries by subscribing to this blog and leaving a comment below (it needn't be long :)! If you care to share a favorite holiday idea or two, we LOVE LOVE LOVE to read them, as always. on our other blog--just click HERE to see how easy it is to enter that one too! Please Feel free to... enter BOTH contests!! This was my intention when posting them at the same time (doubles your chances to win!)!! We will be choosing our winners NEXT SUNDAY, NOVEMBER 1ST and announcing them on the 2nd!! I just put up a post about your giveaway on my blog. Hope that's okay. Welcome Lorrie! Thank you so much for sharing all the GREAT gift wrap/packaging ideas ideas! I am especially intrigued by the toppers from old patterns and tulle (they sound adorable...can't wait to try it!). In fact: Thank you so very much!! Another great giveaway. I loved both books and have read them over and over. 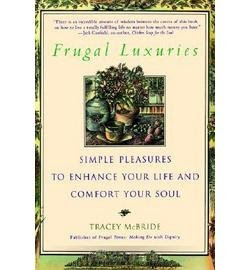 Frugal Luxuries as you know is at the top of my favorite book list, other than the Bible. Tracey, ever think of writing another book? You honor me more than I deserve. Thank you seems inadequate after such a compliment...but I DO thank you... with all my heart. I have read many good things about your books. 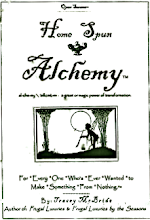 I would love to be entered into your giveaway, and read for myself! Your blog is wonderful! I use wallpaper for gift wrap. Sometimes you can get it for $1.00 per roll and it is much thicker and nicer than regular wrapping paper. Plaid patterns or paisley are nice for Christmas if you can find the red/green combiniation. I also make curling ribbon bows out of wrapping paper. Just carefully cut strips of the wrapping paper and then use scissors to curl it like you would curling ribbon. I am new to the idea of living frugally! I love finding new idea to help me save $ while enjoying life. Thank you for having such a great blog and i have recently subscribed to your site and look forward to learning a lot of new things. An open mind really does help when trying to learn new things. Miss KP, Welcome to our site and thank you so much for the nice words!! I just went to your blog and can't wait to spend a little more time browsing through your "Tattered Treasures" (great name)! Darla, what great suggestions for wrapping!! I the idea of using wallpaper as wrapping paper -- never have thought to make bows from it!! I bet they turn out great, due to the thickness of the paper. I was thinking we could even make one of those fluffy bows from wallpaper by building it: Perhaps cut strips and make one loop at a time until it's a full as you like...keeping them together with a glue gun, heavy staple,or even tape??? Just thinking aloud! :) Thanks the the idea sparks!! Peggy, I'm so glad you found us! I have to say that I love your blog,"The Button Floozies"!! I am a long-time AVID button nut...so yours is definitely a blog after my own heart!! Hi SpunkySuzie...welcome to the world of Frugal Luxuries! As for frugality, it's like anything else in that it just takes a little focus, forethought and practice to become good at. The bonus (besides the obvious)?? Frugality sparks creativity and innovation...which is soo much FUN and can become quite addicting. Thanks so much for joining us...we're glad to have you! Welcome and you are NOT TOO LATE as I just posted the contest yesterday and it'll be going on for a week! Would love to win a book! I am now a follower. Hello Brenda and welcome! So glad you discovered our second blog. Tracey, I just want to say that you will never know how much I appreciated the message you left me about my son. I was so warmed by it and want you to know that I am so grateful that you would take the time to write such a beautiful message to me. Thank you sweet for being so dear. Dear June, you are an amazing soul and I cannot tell you how your experiences inspire me. Thank you for your generosity in sharing them with us all. Good thoughts, prayers and hugs from Tracey. P.S. Dear Kindred Spirits, if you're not familiar with June's blog "Laughing With Angels" I highly recommend it. Thank you for joining me in FRance! What a lovely blog you have, I'd like to enter your giveaway draw please. A warm welcome to Bleudelavande and Elizabethd!! Lovely to meet you both!! Love you blog... So inspirational!!! Hello Lucie! Thank you so much for the kind words. They are so appreciated. Bettyann, it sounds as if you are already enjoying a life filled with frugal luxuries! I think so many people already implement smart strategies in their lives (like gardening and not wasting foods :) and never dream of calling them frugal! In fact, when I looked up the origin of the word (when writing my first book) I found that the word "frugal" is a derivative of the ancient Latin root words, "frugalis" ans "frux"...both meaning SUCCESS! Can't tell you how much I loved reading THAT :). Great givaway. I have now posted on both sites, I hope. I am enjoying both very much. Spending way too much time on this computer. I should be sleeping. Tracey, I have come by to register for the give away on this site too. I will post about them tomorrow (Tuesday) or maybe later tonight after our company leaves. Have a great day. Check back with me for I will be having a give away in the next week or so. Hi Charlene! Thanks so much for stopping by and letting us know about your upcoming giveaway! I will be checking for it! Note to Dear Readers: If you like giveaways (and I know I do!!) you might want to check out Charlene's current post for two other giveaway links of CUTE goodies!! Please enter me for this one also! It's so nice of you to offer these! I am signing up as a follower. My Christmas tip....I put away $20 per week, year round, so I am not scrambling last minute to "find" money to pay for CHristmas. Also please do link back to my blog, that would be super. Cindy, we're always very glad when you visit!! Note to Dear Readers: Cindy's charming blog (My Romantic Home) is also hosting a giveaway. You might want to pop on over and enter it too!! Hi Rhonda!! 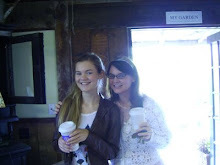 So good to see you~I had a lovely visit on your blog earlier today :)! Thanks for joining in! Welcome Gill~ Thank you so much for the useful recipes I found on your blog this morning! Your quilt project has the most amazing colors in it. I loved all the comments on this blog. How will we be notified if we win the giveaway? I am new to this and did not know the proper procedure for submitting my first entry. It is on the blog, so I guess I did something right. I love your blog !!!!!!!!!!!! Hi Darla! Thanks so much for joining us! To answer your question, I will announce the winner on a blog post (both blogs :) next Monday (Nov. 2nd). If you have a blog, I'll just pop over and let you know there and also via your blog email. If you don't have a blog, you can email me directly (frugalluxuries@gmail.com) and let me know where you'd like me to send it. I'll explain it all again next Monday, when the winners are announced so be sure to check back next week! Thanks again for visiting here and joining in our fun! Hello Susan!! So glad you found your way over to this one too!! P.S. 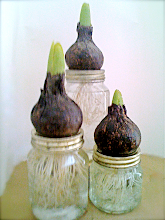 Love the story of "unexpected blessings" on your blog...gave me goosebumps! Hi Kim! I love your blog too! Can't wait to hear how the new chickens are fitting in...and see the new curtains you plan on making...you are one busy Mama! Honestly, my suggestion would be to simplify the holidays as much as possible. It can be very stressful if one is not mindful to not add too much or do too much. Breathe, enjoy, and remember what the season is all about. Speaking of "knowing"...I know my special dream-come-true prayer will be answered NOW...with you praying with me. (Two or more never fails...) That being said, you're right in that I am already sooo very blessed. The prayers I'm praying now are not actually for myself (although I am involved a lot and will reap the benefits as well;). The girls are wonderful, we are having such a nice time with my son, Clancy, who has been visiting from up north for a week (he goes back in a few days). It's been so nice having all three home at the same time. Now THAT is a blessing, truly. Yes, that Oreo cake (and all those luscious cupcakes you post on your BEAUTIFUL blog) are so amazing. I was thinking, if you don't mind, to post a link to your COOKIE EXCHANGE blog on the FLFood blog later this week? Let me know if that's okay. I love the idea of it all...and I think I love sweets as much as you do but, sadly, they don't love me so much anymore! I am off now, to make dinner for my beloveds. Thank you again for all your prayers, good thoughts and friendship! (Oh, and for posting about us on your BEAUTIFUL blog!). Note to Dear Readers: Oh my goodness, if you want to see a blog filled with dreamy, BEAUTIFUL, things, then you will need to visit Charmaine's "Beautiful Things to Share" blog. It is truly a fantasy of loveliness...truly. I know, I know, I'm prone to hyperbole, but this time I am absolutely accurate!! I like to take all her high end ideas and see if I can give the a frugal turn :). Most of the time, however, I just appreciate the beauty of it all. I agree, Lyn. Thank you so much for taking the time to visit and join in on our giveaways!! I wanted to say how much I enjoyed reading your recent post on menu planning using what you have on hand! That's one of my favorite games to play! I look into the pantry, freezer and refrigerator and see if I can come up with seven meals using only what I have. Most of the time I get stuck at five, but can stretch it to more with a few extra items from the grocery (usually things like lettuce, tortillas and the like :). 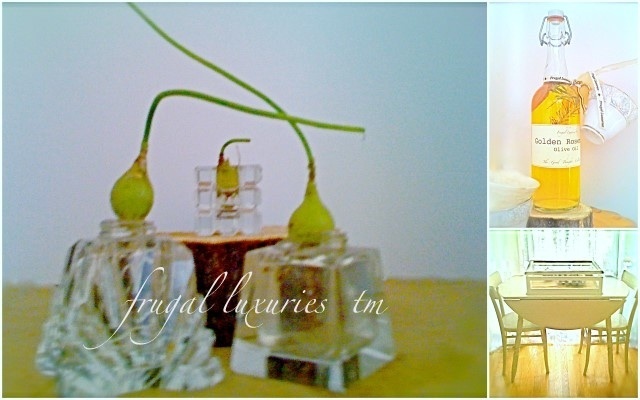 Thank you again for visiting frugal luxuries, and for the kind words. What a great idea, thank you for sharing it, Tracey. I will remember that when I go to plan my menus in the future. Good Morning my sweet friend! thank you so much for your kind response in your comment box and on my blog. it's always nice to hear from you. of course i don't mind about the cookie exchange blog. i better get to posting more ideas. if you have any, please let me know. i just love cookie exchange ideas. so, happy to here your son Clancy is home visiting. i hope you all are enjoying your time together. So your a big fan of Tongue in Cheek? i love her blog! so amazing! i just get lost in her post. the readings and all of those beautiful images just takes me away. that's so funny how her blog came back to you, amazing! well, i'm glad you found her again. now we can enjoy Tongue in Cheek together. you are so sweet! it was my pleasure to post about your book giveaway my friend. anything for you. i mean it, your such a jewel that sparkles! i'm still praying for you and your family and for that special prayer to be answered. also, thank you for your kind compliments. i really appreciate it! you are too kind. keep blessing us with your amazing ides. wishing you love, peace and joy, (sounds like Soul Train, LOL!!!!) huge blessings for you and your family. 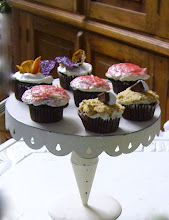 Thank you for the permission to link to your cookie exchange blog! I will do it later today as Clancy is waiting for me to go to coffee with him (I am going to be ultra caffeinated today, I'm thinking). I will give thought to anything I might add and I'm sure we can get some of the other kindred spirits input (always fantastic stuff)! I'm off now. Thank you so much for everything!! What a lovely giveaway. Please count me in! The first holiday frugal idea that came to my head is something my mother used to do years ago. We had a beautiful fur tree in our front yard and she used to decorate it at Christmas time. She would do this by using the tin tops of tin cans (cans of vegetables, soup, etc). She would make just four cuts in the tin circle and bend them. You can make shiny tin angels this way. She'd glue a hook to the top of the angels and then hang then on the outside tree. Very pretty. Gina! So good to hear from you my friend!! Your mom sounds as creative as you are!! I'm not especially creative but this year I want to make some gingerbread cookie cut-outs and put them on the tree and use lots of ribbon for a more old-fashioned effect. I subscribe to your other blog and now I am subscribing to this one. Hello DarcyLee! Thank you so much for stopping by and for the great input! I LOVE the idea of cut-out cookies and ribbons to ornament the holiday tree!! For frugal ribbon you could even implement an idea we talked about earlier...make them from recycled garments (then your tree will truly look old-fashioned :). Thanks again for joining in and sharing your thoughts. So good to see you here Renee! Love your blog and your books. 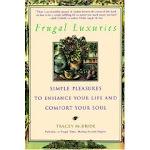 I am going to post on my blog about your give away and share how much I love my copy of Frugal Luxuries! 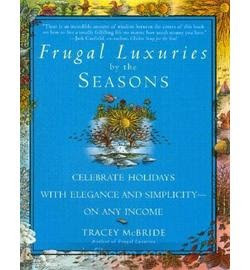 I would love a copy of Frugal Luxuries by the Seasons as well. My tips...I wrap my gifts in reusable "wrapping paper" such as a table cloth, napkins, dish towels I have picked up at thrifts,yard sales or rummage sales. I have even been known to use newspaper with red or green paint bells (foam stamp)or brown paper bags. Another tip is to decorate outside of the box. 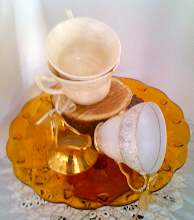 I use everyday items and wrap them with green or gold ribbons, lamps, candles or vases and fill them with clear beads or Spanish moss and spray painted twigs. Looks Pottery Barnish without the cost! Thank you so much Audra, for the very kind words and good ideas! Judging by the recent post on your blog, I bet they all look amazing when implemented! Oh, also, wanted to give a big THANK YOU for posting about the giveaway! I really appreciate it. I am so excited to have found your blog. Can't wait to keep up with it. I would love to win this book. I just subscribed via Reader. Learned of the giveaway from Manuela. I really enjoyed reading your book (borrowed from the library) and would love to have a copy of my own. ThanX for the chance to win! Thanks so much Amy. We're so glad to have you!! P.S. Great post on "watching", it brought back memories!! Hi Aubrey...lovely to have you find us! Our group is brimming with some of the most creative, kind, generous souls I've ever had the pleasure to know. Thus, you won't be disappointed if you're looking for inspiration on re-purposing and reusing what you have! This book has made such a difference in my life! Lucy, I believe these are the most welcome and beautiful words an author can ever hear. I extend my deepest appreciation for them. Thank you. I follow both of your blogs and have checked your books out more times than I can count from the library. Please enter me in your give away. Iris, thank you so much for being a supporter of both the "Frugal Luxuries" blogs!! It's always a joy to find others who share a similar philosophy. I just found you through Manuela! What wonderful ideas you have! Yes, people I think are finally actually wanting to be frugal! What a great blog name! "Cozy" is such a comforting word. I really enjoy both of your blogs. I will be linking both of them from my blog. Thanks for all the ideas. I am delighted to have found you through the Church Ladies. My best frugal Christmas idea is making homemade sweets of a kind too time-consuming to be commonplace. For many years, my daughters and I have made candied orange peels as gifts - lovely in tea, or on their own as a not-too-sweet grown-up candy. Hello Rhonda!! I sure appreciate the link! Also, can't wait to see how your baby chicks grow!! Welcome Elisabeth--I am delighted to be found by you!! Thank you so much for contributing your lovely (and wise/sensible) idea, and for joining us at Frugal Luxuries. I've always tried to live frugally, for various reasons, but in the past few years I've realized that I want my frugal life to be pretty too. For example, my inexpensive composition notebook journal is now covered with a fabric cover made from a leftover piece. I've made bookmarks (instead of using a scrap of paper) from scraps and even from selvages! I have always wrapped gifts in brown paper or in packing paper and tied them with colorful yarn scraps. My mother used the comics from the Sunday paper. My mother taught me (in the 1950s) to save Christmas cards and reuse for gift tags; I do that with cards all year long. And now I try to make cards with leftover paper and fabric. Hello Kathleen and welcome to Frugal Luxuries!! I just love your ideas for "making frugal pretty"--especially the one about covering your ordinary composition notebooks with fabric scraps! I found your blog through Brenda at Coffee Tea Books and Me. Thank you so much for your message of simplicity and beauty. I use the small lunch bag brown sacks (about $1 for 50) for wrapping small items. Just fold down the top and using a hole puncher to add a hole, then close with pretty raffia or ribbon. Thread the gift tag through the ribbon. You can decorate the bab if you like. Good Morning Ashley--we're glad to have you! Your lunch/gift bag idea is so simple yet very clever!! I will put them on my Dollar Store list!! I was thinking... wouldn't the white lunch bags would be cute too?? 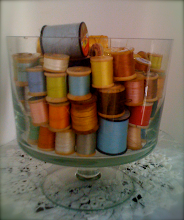 You could use raffia or color ribbons in lieu of raffia...blue and white...pink and white...red and white!! You have me on a roll now!! Thanks so much for sharing your creative spark. Hi, I hope I am not too late to enter the giveaway drawing for your book?!? This is Nov.1st. I am going to become a follower and also subscribe. Welcome Linda! You weren't too late! I put your name in the bowl last night! We'll announce the winner this afternoon!